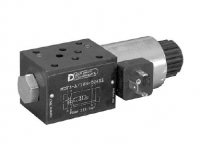 Direct acting, subplate mounting directional control valve, with mounting surface according to CETOP R02 standard. 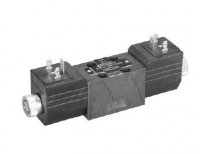 Direct acting, subplate mounting directional control valve, with mounting surface according to NFPA D03 standard. 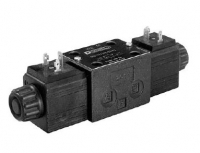 Compact D03 design with reduced solenoid dimensions,suitable for mini-powerpacks and mobile andagricultural applications..
Junction boxed mounted direct acting, subplate mounting directional control valve, with mounting surface accordingto NFPA D03 standard. Only Available in AC. 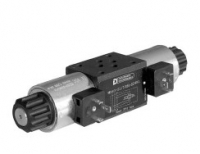 THE MDS3 is a modular D03 Valve to switch multiple flow directions, or to select pressure values. 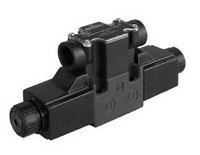 Shut-off solenoid valve, direct-acting, available in two versions at rest: with lines blocked and with unloading lines. 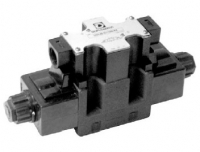 Junction boxed mounted direct acting, subplate mounting directionalc ontrol valve, with mounting surface accordingto NFPA D05 standard. 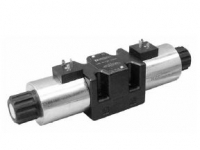 NFPA D05 Compact design with reduced solenoid dimensions, suitable for mini-powerpacks and mobile and agricultural applications. 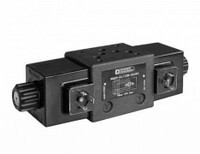 MDS5 is used to switch multiple flow directions, or to select pressure values.